We had a sweet and special V-day and I hope y'all did too. We took this picture after dinner on Friday night. Russell's hand is on the left, mine is on the right. And as you can probably tell, it's a heart on my tummy because of sweet Jackson. We are so in love with our baby already and so in love with one another, of course. :) Here's what happened on Friday. I went to good ole Chick-fil-A for a valentine breakfast. I just had to get the heart shaped chicken biscuit. It was the perfect way to begin the day. Russell surprised me during his lunch hour and had lunch at home, but he also had a pretty bouquet of red roses for me. He's too sweet! I was so glad to see him during lunch. We enjoyed opening our valentine cards from our precious family. This was our 8th Valentine's Day together since we started dating. Love him lots! Dinner at Table Mesa was delicious. I ordered a "Shirley Temple" and loved it! The restaurant had an optional V-day menu and we totally took advantage of it. This was my dinner, chicken blonde. Very tasty. Dessert was even better. If you live in the NWA area, I very much recommend trying Table Mesa. So good. We had such a special time together. However, we do not need Valentine's Day to remind each other of our love for one another. It's just fun to celebrate together. That is it in a nutshell! Hope y'all have a fantastic week! 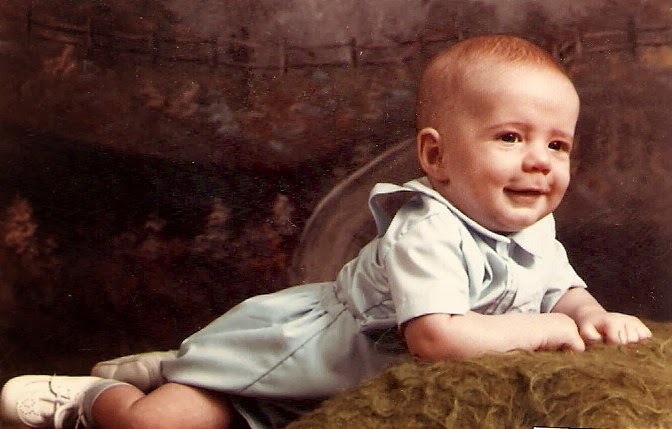 Today I am sharing some "Throwback Thursday/Flashback Friday" pictures with y'all. I have probably shared these before, but they are some of my very favorite pictures. Valentine's Day 2008. Our first Valentine's Day as Mr. and Mrs. Price. We were very much newlyweds and Mr. Price sure made me feel like a princess. And still does to this day. Now, on to the real "flashback." Think all the way back to the 1950's. Poodle skirts, Elvis Presley, and evolving trends. 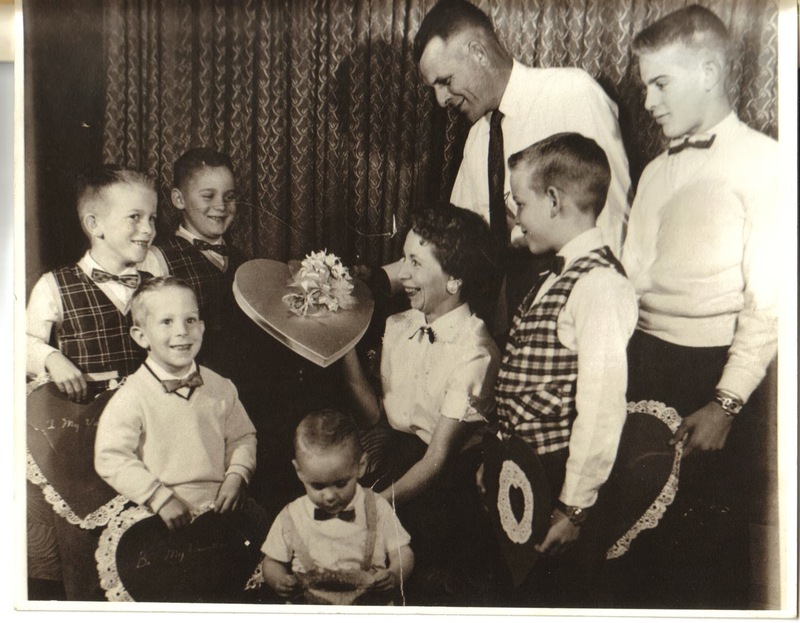 Here are my Mamaw and Papaw Jordan with their six boys. Daddy is in the picture on the far left. Look at those bow ties and vests! Love the vintage valentine's, too. Precious love. I am very much partial of any adorable pictures of my sweet parents. 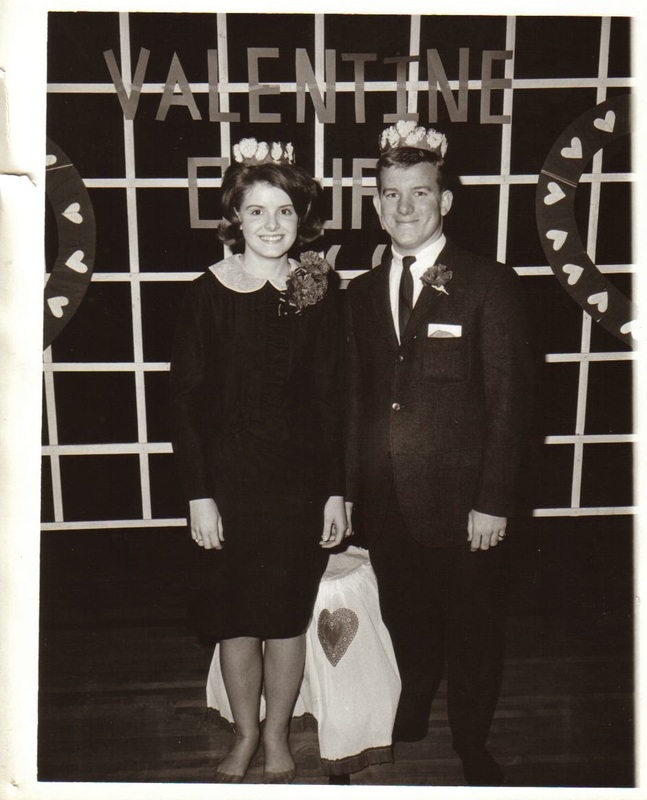 Here are Kathy and Jerry, Valentine King and Queen, circa 1966. I cannot say enough how cute this is. Fast forward to 1990. I keep posting this every year because it's my favorite. 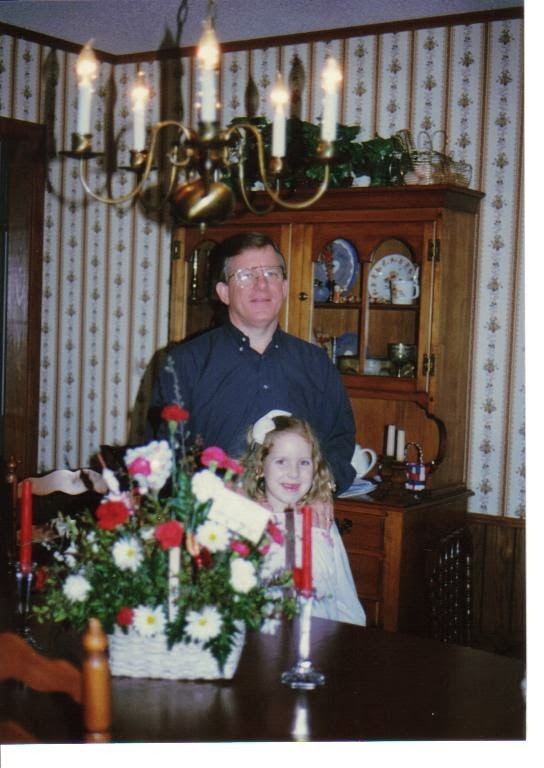 I always say that Daddy was my very 1st Valentine. He always made me feel so special and he showed even more love to my mom, which showed me how a husband should treat a wife. I get kind of nostalgic around this time of year, so I like to share these special pictures. Throughout high school, I never really dated much. I tried hard to follow God's will for my life, even then. I believed that God had "the one" picked out for me long before I even met or heard anything about Russell. But I am so glad I waited for him. Mama and Daddy sent me flowers a few times on Valentine's day during high school. So sweet. I am so happy I met Russell. He was always the one God intended me to marry. When we met, I was 19 years old. Russell and I knew early on that we would marry and we have been crazy in love ever since. I call Russell my lifelong valentine. Best friend for life. Next year will be even more special because Jackson will be here! 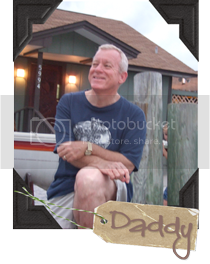 I hope that he will be as sweet as sugar and someday (way down the road), sweep a girl off her feet and make her feel just as special as Daddy did and Russell does. That's the plan. HA! Jesus is my ultimate valentine. He gave it ALL for me and for YOU! He loves us unconditionally, and that is REAL love. The definition of love. GOD IS LOVE! I cannot thank my savior enough for all He has done for me. Thank you, Lord. Thanks for reading this long story, but it was on my heart. Hope y'all have a wonderful day. Make someone smile today. If someone doesn't have a smile, give them one of yours. Spread the love, y'all! I found these precious cookie cutters at Target a couple of weeks ago and thought they were perfect to use and so cute. Here are the ingredients. Click the link above to follow the recipe from Ree Drummond herself. Just choose the right cookie cutter or biscuit cutter and get to cooking! Done! Isn't it cute and oh, so fun? This was my breakfast the other day, so I didn't add bacon on the side. This was quite enough for me, myself, and I. :) So there you have it, y'all. It's the simple things. Go make this yummy breakfast for someone you love....and for yourself. You'll thank me. Happy Hearts Day! Throughout this pregnancy, I have been so incredibly thankful. I am still so thankful for this miracle. At the same time, my heart aches for those of you who are longing, aching and desperately praying for a miracle of your own. I am praying for y'all for sure. Some people don't realize how difficult infertility can be. It can be wretched at times. These pictures described my heart fairly well. This summed it up for me in one sentence. Ever since I was very little, I wanted to be a mommy. 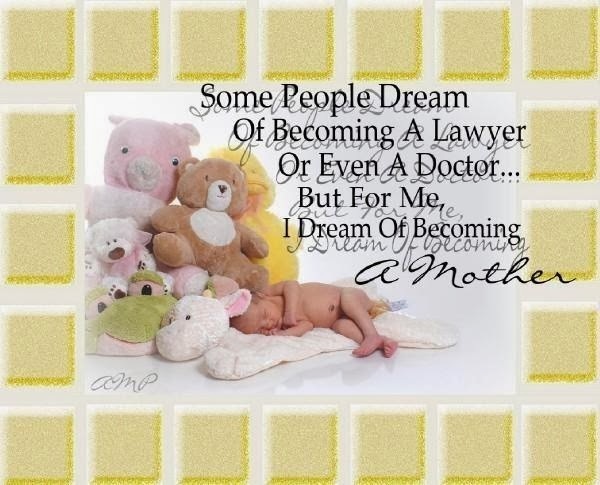 I truly believe motherhood is a calling for me and always has been. I know some of you may feel exactly the same way. I also found quite funny posts, like this one. 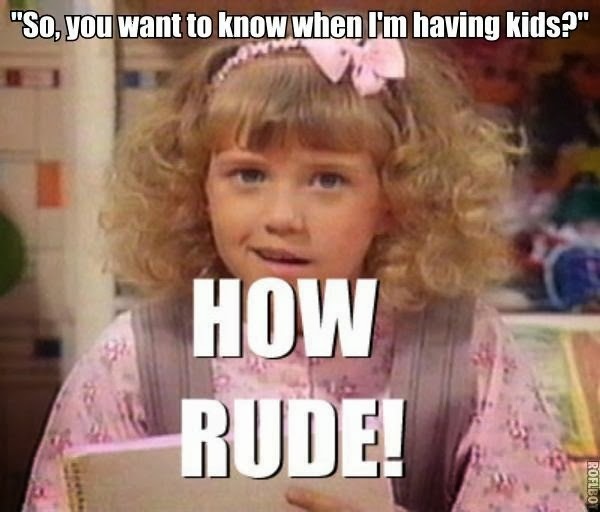 "How rude!" Sometimes while going through the journey of waiting for a baby, you feel like this. People sometimes asked us, "So...when are y'all gonna have a baby?" I know for sure that some people did not mean anything by it at all. But at the same time, I wanted to say, "Oh, I know exactly when. It will be on November 5th at 3:45 a.m." HAHA! I know some of you can relate. 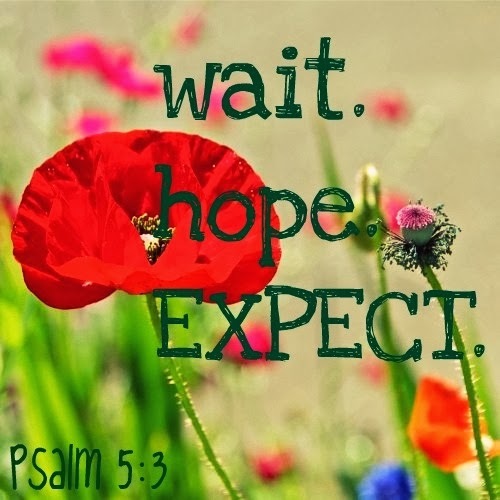 If I did not have my faith and trust in the Lord, it would have been much harder for us to wait. This verse in 1 Samuel brought me much comfort because it's so authentic and true. Coming from a faithful follower of Christ. There is definitely hope! Don't lose hope! I want y'all to know that if you are going through infertility, my heart goes out to you. I am not going to forget about you. 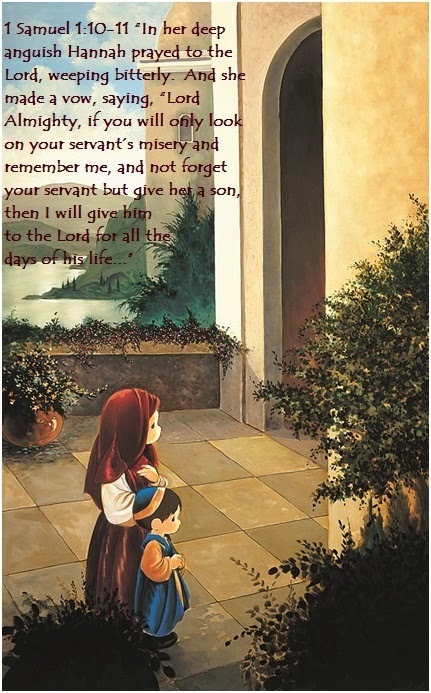 Those of you who have shared with me your longing to be a mother, whether through email, or if you are a personal friend of mine. I am praying for you! Russell's birthday was Saturday. It was a very rainy and cold day, so we really didn't get out and do too much until that evening. I have to admit, though, I attempted to make breakfast for him, but it did not work out too well. As I was attempting to make the Pioneer Woman's "huevo in the heart," the corn tortillas did not really toast in the skillet like they should have. Maybe I added too much butter. Maybe I had the heat too low. I don't know, but if you know me, you know I was panicking a little bit. Russell took over the kitchen and finished breakfast. Hey. At least I cooked the bacon, right? :) When you are husband and wife, helping each other out is the answer. I love him so much! Saturday night, we went to AQ Chicken House for dinner. It was of course, Russell's pick and it did not disappoint. Russell and his dinner. We enjoyed it so much. If you have not been to AQ Chicken, we highly recommend it. The "chicken over the coals" is our favorite. We came home and Russell opened his gift. I got him a book based on an unsolved mystery in my hometown. I won't be reading it because it will for sure freak me out. Ha! I also got him a gift certificate for us to go on a date night at "Painting with a Twist" in Bentonville. We will choose our painting together, then set the date for our couples date night. He was very surprised! I made him a chocolate sheet cake (another PW recipe) for his birthday. It's such a perfect go-to recipe for any dessert. Especially a birthday cake. Belle was not too happy about the rain outside on Saturday. 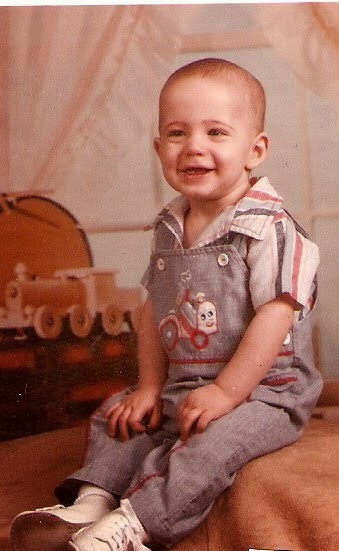 Look at this little cutie from 30 years ago! Oh my word! Look at that smile. I am a little partial. When I met Russell, he stole my heart very quickly. We loved going to SAU together in Magnolia. I love this picture. It was at an SAU football game. I was in the SAU Heritage Singers and sang with the choir before the game. I then met Russell at the game. Young love...he was 21 then and I was 20. Russell is an awesome uncle to Logan and Lauren. 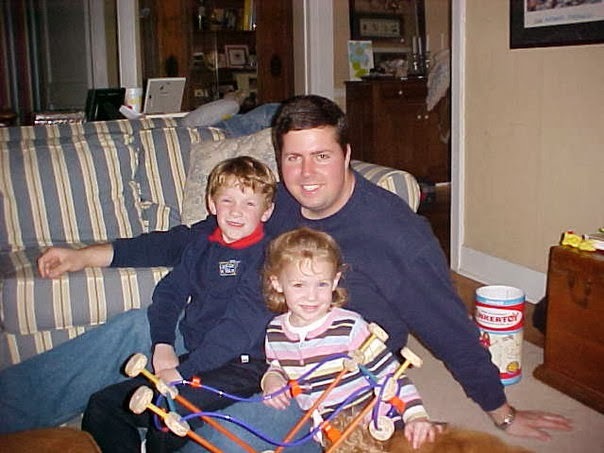 I loved seeing him play with them when they were little. It always warmed my heart. He graduated from SAU in 2007. 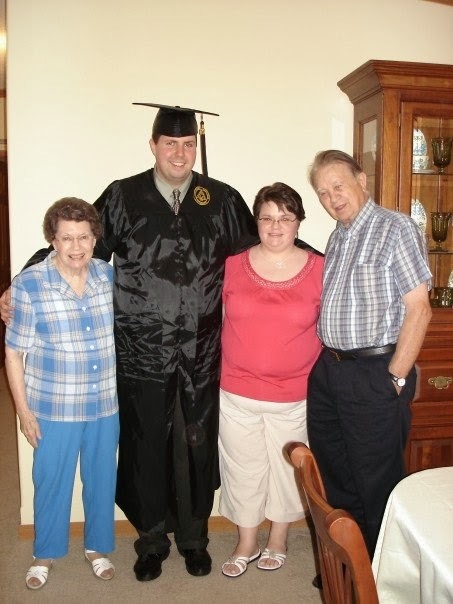 Here is Russell with Mamaw Price, Papaw Price, and his cousin and my best friend, Amy. We still share this same love. We were engaged then and oh so excited. 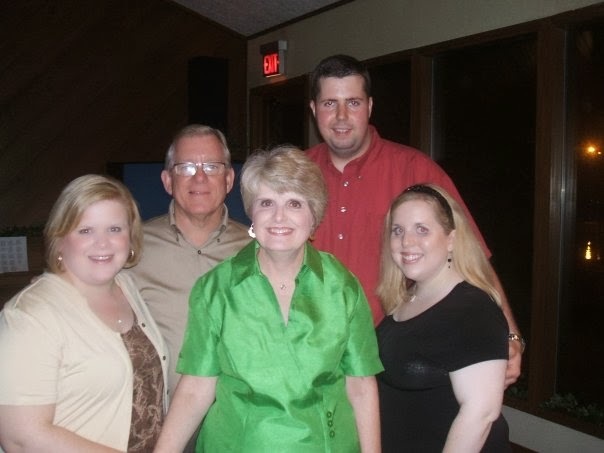 At our Rehearsal Dinner with Kelly, Daddy, and Mama. I love, love, LOVE this picture very much. Fast forward to a more recent time...we had such a wonderful Valentine dinner at Crystal Bridges last February. So special. Woo Pig Sooie! Our first Razorback game together. 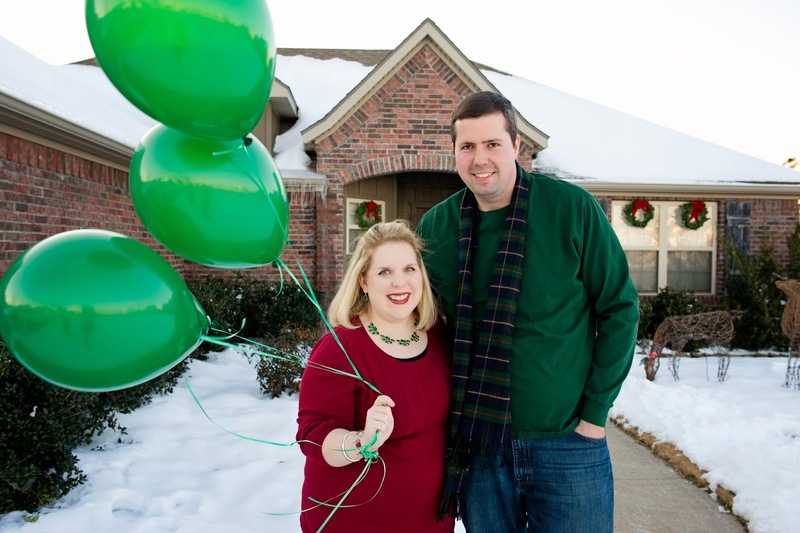 I was six weeks pregnant, and we were so happy...and burning up outside. HA! This past December was incredibly eventful as we found out we are expecting a BABY BOY! I'll never forget our excitement. Cannot wait til May!